SD Cards commonly stop responding. We can help recover data in most cases. Has your storage device gone and kicked the bucket on you? 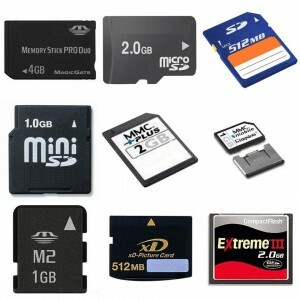 We service both full and micro size SDHC and SDXC formats. We work with all brands as well as unbranded models because we know that there is nothing more annoying than losing all you photos. There is nothing worse than having amazing photographs that you put in so much effort to take on your last holiday, demoted to technological purgatory because your SD card is damaged. Our Perth company is dedicated to helping you retrieve all of those captured moments with our SD and micro SD data recovery service. Whether your SD card has suffered physical damage, data loss, or the software is refusing to co-operate, Perth Data Recovery will use our engineering expertise and unique software to salvage most or all of your files. Just like the SD technology we service, Perth Data Recovery like to keep things fast and simple. We have devised a transparent, three step process to retrieve your files, and in as little as 24 hours we can have your data returned and fully functional. This process occurs when the media arrives at our Perth office. A professional technical engineer will examine your full sized or micro SD card and give you an estimate for both the cost and how much data is likely to be retrievable. During the recovery process we will use our specialist technology to retrieve data from your micro SD card without causing it any further damage. Once we have completed the recovery process, we will send you a detailed list of all the files recovered from your device. We can upload recovered data onto any device you choose, or onto your cloud storage. Perth Data Recovery in Perth can retrieve data from a wide range of media including iPhones, hard disks, USB flash drives, and RAID systems. For more information on any of our services, please don’t hesitate to contact us on (08) 6465 4444.